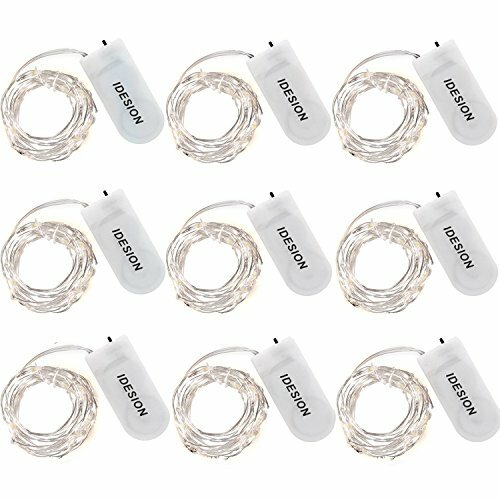 Try KingTop's Led String Lights 9 Pack 2M 20 LEDs Battery Powered Silver Wire Waterproof Lights Today ! If you're not fully satisfied, we will send the full refund for you. 1. Set includes one light strand and 20 LED bulbs. 6. If one bulb burns out, the others stay lit. 7. LED lights are safe, as they produce virtually no heat and are cool to the touch. Battery operated Fairy Lights provide the perfect accent lighting to centerpieces and arrangements. Fairy Lights includes convenient on/off switch function, very easy to cooperate. These fairy lights are perfect for DIY use to add to centerpieces, floral arrangements, wedding lights decorations, wreaths, home decor and more. If you have any questions about this product by KINGTOP, contact us by completing and submitting the form below. If you are looking for a specif part number, please include it with your message.